I’ll admit the whole pop-up thing is pretty done. We’ve seen enough boutiques, eateries and even galleries randomly sprout-up into the urban-stratosphere it’s lucky we’re not allergic. 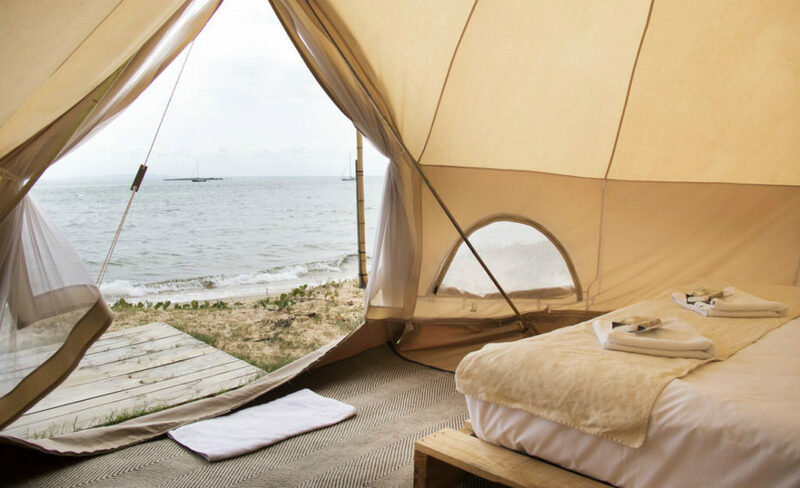 But what about a pop-up hotel … now there’s a concept fairly new to the scene. I’m not talking about the portable ‘glamping’ tent villages haunting music festivals like Splendour, but rather, a new breed of designer lodging offering unique stays in interesting places. Aimed at creative travellers, a pop-up hotel is usually housed in unique spaces around the globe like warehouses, shipping containers and even resorts that already exist and, unlike temporary fashion shops designed solely to pawn threads, they offer a fleeting glimpse of what it’s like to fall asleep in unusual locations like public parks and harbours. More often than not these experiential lodgings are born from a collaborative partnership between artists and designers, with the odd cutting-edge hotel chain thrown in for good financial measure. They are typically conceptualised to leave a light environmental footprint, which makes for interesting eco-chic spaces; plus they’re easy on the wallet too. So just how long does a pop-up hotel last, you ask? Many only stick around for a few days in a single location; others for a few months, but some are so popular they’re still lingering today. One thing’s for sure though, the pop-up hotel phenomenon is only getting started and we can expect to see the boundaries being pushed even further in the future. Here are three examples of cool little transient hotels from around the world. Check them out before they checkout. 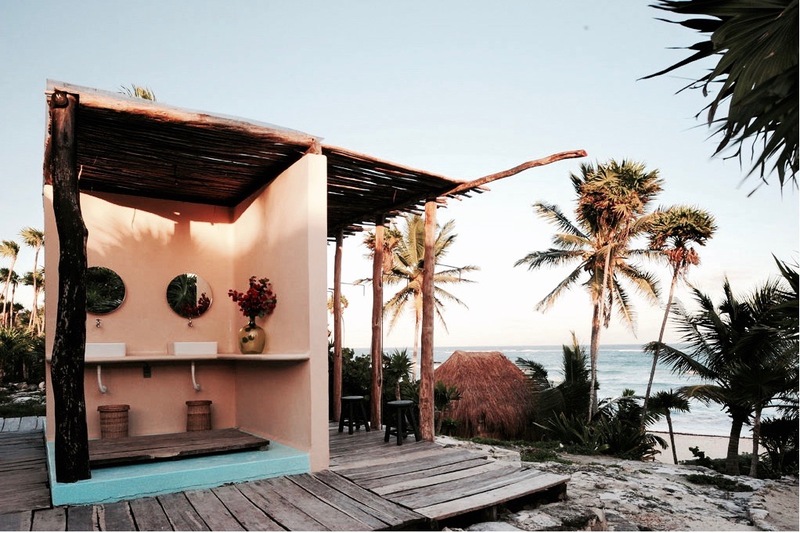 With its cabanas and slightly more luxurious casitas practically floating on the crystal clear Caribbean ocean, Papaya Playa Project opened in December 2011 to much hoo-haa from the global hotel community. It was, after all, the first real designer pop-up of it’s kind and forged the model for others to follow. The eclectic jungle-chic hotel is set up more like a gypsy commune, with many of its main amenities (restaurant, ashram, bathrooms, beach club) centrally located on the beach or jungle and exposed to the elements. Centrally run on solar power only, the hotel has no electrical sockets in the rooms so leave your iPhone behind. It attracts everyone from backpackers (sparse palapa huts start at just $45US per night) to high-profile creatives wanting to kick-back and switch off in a designer beachfront bungalow. Papaya was supposed to close in May 2012, but the trendy, no-frills property backed by German boutique hotel brand Design Hotels proved so popular it’s still sitting proudly along the Yucatan Peninsular today, three years later. Fancy sleeping in a shipping container on top of an office building? If you happened to be in Antwerp last Summer you could have done just that. Let me introduce you to a little project called “Sleeping Around” – they’re a bunch of ex-shipping containers up-cycled from China and converted into luxury hotel cubbyholes with all the mod-cons: a box-spring bed, rain shower, iPod docking station and air conditioning. They’re 100% green and only use ecologically-minded materials. The shipping container village was set-up in interesting locations around Antwerp like galleries and design fairs and guests were able to stay overnight and experience the modernised metal boxes in all their glory. Word on the street is the shipping containers are set to pop-up in the Greek Islands this Summer. Keep a lookout here. With the success of Papaya Playa Project under their belt, Design Hotels brought their specific brand of beachy pop-up chic to the lively shores of Mykonos, only this time the result was decidedly less rustic and a whole lot more bohemian. The glamorously understated hotel designed by German-based interior designers Annabell Kutucu & Michael Schickinger offers a blissed-out alternative to the craziness of the Mykonos party scene. Design Hotels must have mastered the pop-up model because the hotel is now a permanent fixture on the Mykonos accommodation circuit after planning to run for only four months after opening in May 2012. 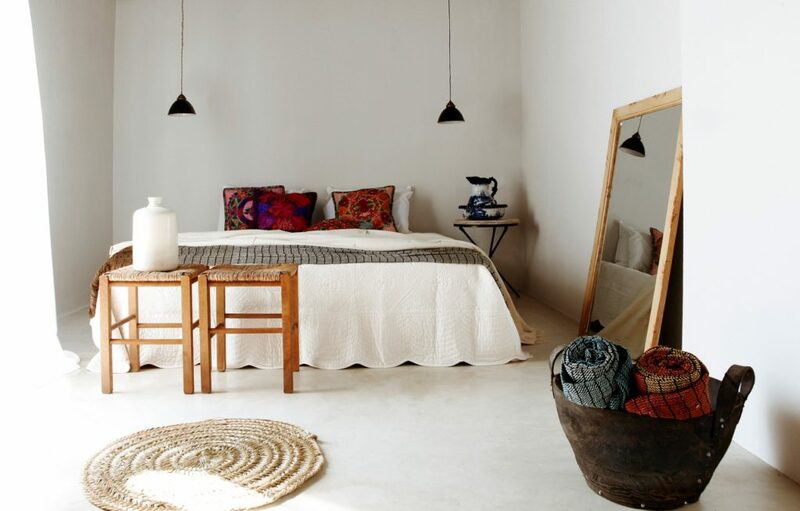 The morocco-inspired interiors cleverly mix vibrant and colourful throws, rugs and ottomans with muted wooden driftwood furniture and whitewashed walls. The rooms have free WiFi but no TV (who needs television anyway) and the hotel adopts eco-friendly cleaning products, solar panels and water-saving low-flow taps. Depending on the season, rooms run from $158- $955USD per night. Flash Camp’s Pop-Up Hotel, the new offering by Byron Bay based ‘Flash Camp’ founders Cameron Arnold, Brandon Saul and the Hutchings family (owners of Paperbark Camp in Jervis Bay) who started out servicing Falls and Splendour in the Grass Festivals in 2014 with tents-en-masse, might not provide the red velvet but certainly delivers the champagnes at sunset! The roving glamp, which ‘popped-up’ in Winton Wetlands, Victoria and Stradbroke Island, Queensland earlier this year and will soon frequent Kakadu National Park, mixes the inclusive vibe felt by revellers of a tent-city at a festival and the thoughtful, eco-luxe service of a small bespoke hotel, with different locations around Australia that WOW! And with large 5m tents decorated with designer furnishings like leather chairs, throw rugs and sustainable mod-cons, Flash Camp is the pop-up Glamp that keeps on giving. Read more about the Flash Camp experience here.